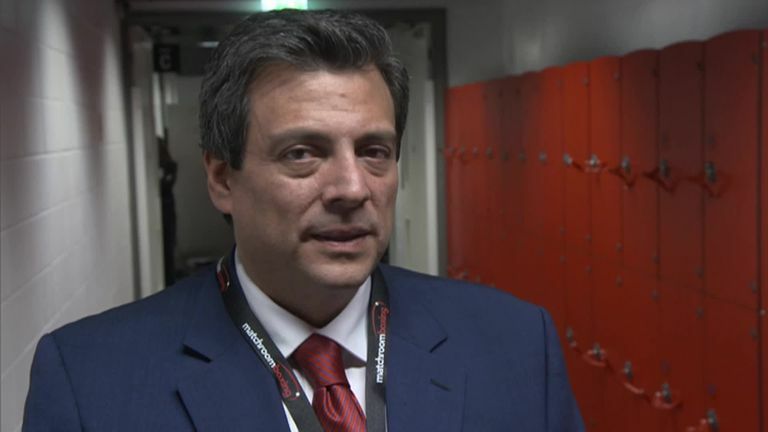 WBC president Mauricio Sulaiman confirmed he is discussing Dillian Whyte's WBC status and Luke Campbell will receive news in a fortnight about his WBC mandatory title fight. Whyte has voiced his anger after Dominic Breazeale received a mandatory title fight with WBC champion Deontay Wilder, despite the Brixton heavyweight's status as the WBC's No 1 ranked contender. Promoter Eddie Hearn urged the WBC to install Whyte as their new mandatory challenger to face the Wilder-Breazeale winner, and was due to hold meetings with Sulaiman. "We're doing a mediation process, which is under the rules and regulations," Sulaiman told Sky Sports. "We're looking into it, and we'll be addressing the matter as we speak." Asked about Whyte's frustration, Sulaiman replied: "Of course I can understand. I support him, and I respect him. "It's been a difficult process in the heavyweight division, in the last four years. Many different scenarios have intervened in what is happening, and what has happened. But we've got a mediation meeting as per the rules, and we are going through that process. "It's very difficult, complex that you have to analyse step by step on how it has happened, but I rather stay and take the high road and look into what is going to happen, and I feel very good about the heavyweight division. "It's in the process. The mediation procedure is confidential. We will be advising as soon as something happens." Campbell has been waiting for his mandatory shot at the WBC lightweight belt, which is still held by Mikey Garcia, who climbed up two divisions for a points defeat to IBF welterweight champion Errol Spence Jr last weekend. Sulaiman intends to seek a response from Garcia in two weeks about whether he intends to defend the belt. "Mikey Garcia just got a very difficult fight in the welterweight division," he said. "We're going to reach out to Mikey to confirm what's going to be his status, and then we will be addressing the mandatory situation." "I don't know, it's tough," said Sulaiman when questioned about Garcia possibly vacating the title. "Everything was around the fight that he took at welterweight, and the result was not what he expected. "We're giving him two weeks that he deserves as a champion to come back from that fight, and then we're going to communicate with him."